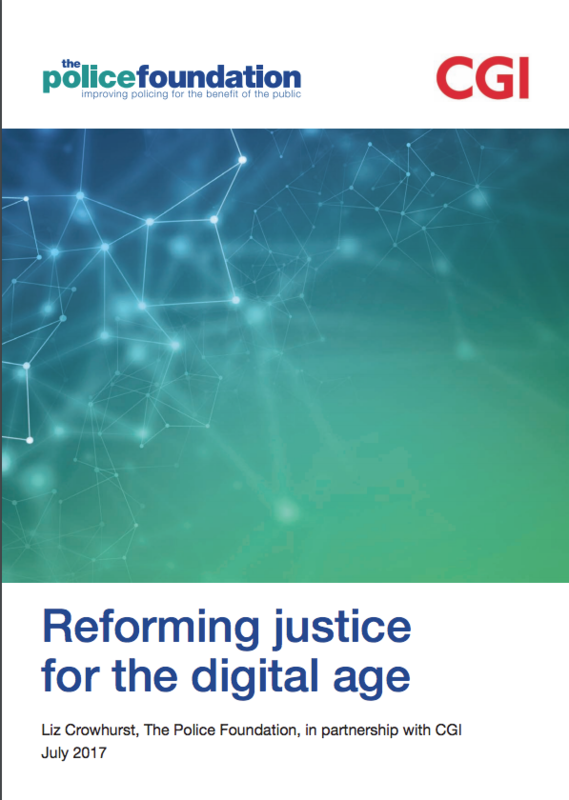 ‘Reforming justice for the digital age’ produced in collaboration with CGI looks at the costs and inefficiencies of a paper-based justice system. It also considers how moving to digital systems and working with other agencies can resolve the justice system’s challenges. New technologies such as intelligent automation and Blockchain, for example, offer promising opportunities to make the system more efficient. Technology has revolutionised private sector services but the justice system hasn’t caught up. Instead, it remains attached to outdated IT systems and working practices. These processes can result in unnecessary duplication and increased errors. Switching to digital could provide an opportunity to build a citizen-focused justice system. Initiatives such as the digital case file and online plea submissions have shown how this can work; these schemes have improved access to justice, reduced costs and simplified systems. The justice system must respond to shifting demands and significant spending cuts. Cases are increasing in complexity while the Crown Prosecution Service and Courts must reduce spending. Finding new ways to digitise systems. Sharing responsibility across justice agencies. Improving the way different organisations’ systems work together. The compatibility of older IT systems with newer ones. Ensuring staff buy-in and the development of their digital skills. The range of technologies and their potential uses are vast. Digital platforms and online portals will enable citizens to reach support services faster. This technology will also make information open and accessible to those who need it. Greater use of automation could ensure tasks are completed with greater speed and accuracy; Blockchain technologies, for example, could provide greater transparency through secure, auditable records. New technology could even help to reduce subjective bias in judicial decision-making.